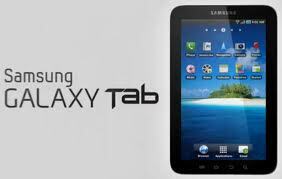 Today the Samsung Galaxy S Tab gets an update that brings it to Gingerbread. Originally when the tab was released it came with Android 2.2 Froyo. The new software release from Sprint (EF17) will bump the Android version to 2.3 Gingerbread and will also fix the HID Bluetooth bug. Along with this, Tab owners should also expect some improvement in the performance and battery life of the device. The update is already available for download, and the Tab can be updated using the OTA (Over-The-Air) method. To download the update, Tab owners should head over to Settings-> About My Galaxy Tab-> System Updates, and select the Update Firmware option. The update will then be automatically downloaded and installed.